Democratic leaders in the US Senate and House of Representatives have introduced legislation that would reverse the Republican’s recent repeal of the Volks Rule, an action that keeps OSHA from being able to enforce the accuracy of injury and illness records. Congressmen Mark Takano (CA-41), Joe Courtney (CT-02), and Bobby Scott (VA-03), Ranking Member of the House Committee on Education and the Workforce, along with Senators Patty Murray (D-WA), Ranking Member of the Senate Committee on Health, Education, Labor and Pensions, and Richard Blumenthal (D-CT) introduced the “Accurate Workplace Injury & Illness Records Restoration Act.” This legislation would reinstate the Occupational Safety and Health Administration’s (OSHA) recordkeeping rule that was overturned by a Resolution of Disapproval (H.J. Res. 83) under the Congressional Review Act and signed into law by President Trump on April 3, 2017. To review for those just tuning in, for 40 years, OSHA was able to cite employers who did not keep complete or accurate injury and illness records over the previous five years. This enabled OSHA to identify deliberate patterns of under reporting and to force changes, not just on those employers’ recordkeeping practices, but on their unsafe work practices. Accurate records are the main way workers and employers can identify health and safety problems in the workplace, and correct them. 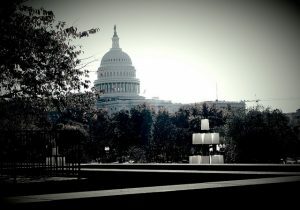 In 2012, in the “Volks” decision, the D.C. Circuit Court of Appeals overturned OSHA’s ability to do that, but provided an option for OSHA to issue a new rule explaining more clearly an employer’s ongoing obligation to keep accurate records for five years. Late last year, OSHA issued a rule that remedied the problem and clarified that OSHA may enforce for continuing violations for the failure to record serious work related injuries and illnesses. Last March, Congress voted to overturn to overturn the Volks Rule, and last month President Trump signed the repeal. One of the main arguments that Congressman Bradley Byrne (the sponsor of the CRA resolution repealing the Volks Rule) used to repeal the OSHA rule was that the Volks Rule was an illegal OSHA “power grab” because the law sets a 6 month statute of limitations for OSHA to issue a violation. OSHA had argued that failure to keep accurate records for five years was a “continuing violation” and that OSHA had 6 months from that five year period to cite. Byrne argued that “Congress has the authority to write laws — not government agencies. The OSH Act explicitly states that an employer may only be cited for failing to keep proper health and safety records within six months,” and opponents told OSHA that if the agency wanted to cite companies for recordkeeping violations up to five years old, then Congress needed to give OSHA the permission to do that. Text of the bill can be found here. A fact sheet on the bill can be found here.